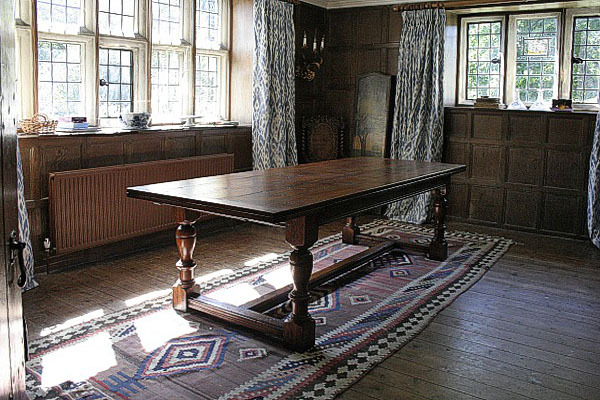 This photo shows our Chalvington extending oak dining table, taken in this beautiful panelled room of our customers historic Sussex manor house. 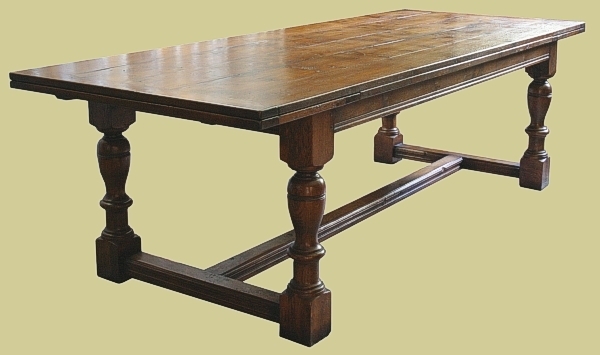 Fully extended, the table will comfortably seat 12 people. We matched the colour to a set of carved walnut cane chairs, their interior designer (who recommended us) has found for them.